The high seas are a dangerous place. It's important that you're not taken for some sort of landlubber that's never spent more than a day in the brine. Even if you've got an eye patch it's unlikely that those curs will believe you're a seasoned pirate with that smooth skin of yours. It's not just the stress of battling other ships that gives this pirate his haggard look, it's the weather in between, this fellow faces sea salt soaked high winds whenever he's not suffering the strong sun bouncing off the water. It doesn't take much more than a year bouncing from port to port and one vicious swordfight until you could achieve this look naturally. Even then, if you're being honest with yourself, do you really think you could grow that brutish beard? 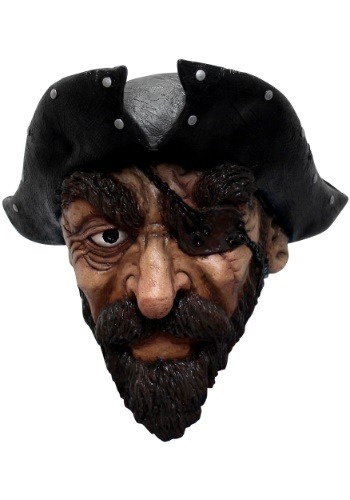 Investing in this mask will give you the moxie you need to join the crew of Queen Anne's Revenge once and for all.